Not a bad brice, but certainly not a stock-up price! New Restaurant.com 80% code: $25 Gift Certificates as low as $2! One of my favorite deals is back! Restaurant.com has $25 Restaurant gift certificates (normally $10) on sale again for 80% off! Through 7/31, use code SAVE when you purchase restaurant specific gift certificates or Restaurant.com gift cards to pay as little as $2 each! Remember, in our area there are limited options at Restaurant.com, but I know it's summertime and lots of us are traveling often. Plan ahead for your weekend or vacations and save on lots of great restaurants across the country! Old Navy: $4 Sale + $5/$25 Coupon! Head to Old Navy Saturday 7/30 for $4 Deals for the Family! 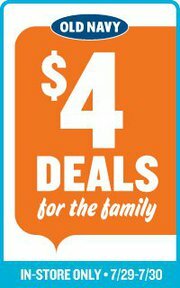 Look for Graphic Tees, Swimwear, Shorts and Basic Tees for the family, all starting at only $4! Plus, use this $5/$25 coupon to save even more! Look for a SmartSource, 2 Red Plums and a Proctor and Gamble insert this weekend in your Sunday Star Tribune! 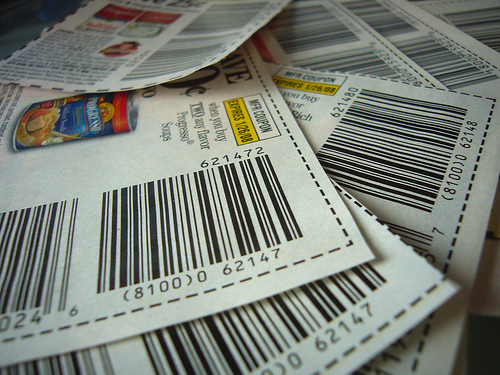 Be sure to check your paper for coupons before you buy it, just in case! If you happen to find all the inserts in the Saturday Star, please let the rest of us know! Update: No inserts in the Saturday Star Tribune. Plus Skippy, Lipton, Q-Tips, Ragu, Magnum, Wish Bone and Vaseline coupons! 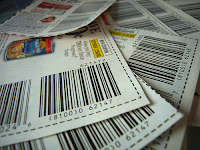 New Printable Coupons: Free Floss and More! Daily Deals: Arc Attic Treasures, Quizno's and more! All Weekend at Save Coin: $10 for $20 to spend at the Arc Attic Treasures! Head over to Bath and Body Works anytime this weekend and use this coupon for a FREE 2 oz Paris Amour Lotion! No other purchase is necessary, coupon is valid today through Sunday 7/31! If you remember from the SunMart Weekly Deals, there is a HOT coupon in the SunMart ad this week for $3/10 Value Choice items. Plus, the coupon doesn't expire til 8/4! Here are a few more low-priced Value Choice items. These are pre-coupon prices, so subtract $0.30 from each when you buy 10 and use the in-ad coupon! Keep in mind that these are regular prices, so it's possible that there may be a sale price on some of these items starting Sunday... Unless you need them, I'd wait to be sure. Thanks to Jana for the list and prices! 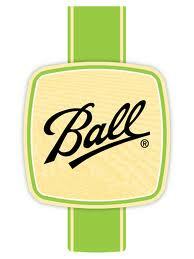 Free Samples: Ball Pectin, Huggies, Nescafe, Breast Milk Storage Bags and more! Request a FREE Sample of Ball Real Fruit Classic Pectin! If you've been wanting to try your hand at preserving or canning, here's a great way to get started! There is another FREE Sample of Huggies Snug and Dry Diapers available! Request a FREE Depend Sample Pack! And, lastly request a FREE U by Kotex Sample Pack! Plus, find a longer list of freebies and samples over at The Krazy Coupon Lady! 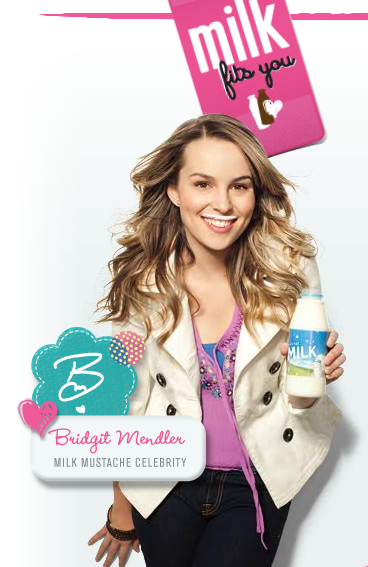 Hurry to request this $1 off any size or brand of milk coupon! The coupon will be mailed to you within 8 weeks. This was available earlier today and is available again now, I'd hurry to request yours as it went quickly last time! Note: I did not see any state restrictions on the website, though it's possible it could not be valid in ND. I guess we'll have to wait and see! 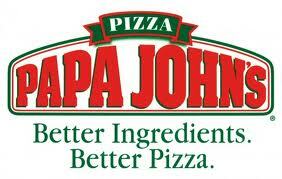 $6 for $10 to Spend at Papa John's! If yesterday's half-price deal at Moe's wasn't enough of a restaurant deal for you (still available, by the way!) head over to Saveology, where first time customers can score a $10 Papa John's gift card for only $6! This is available today only, and only while supplies last! Hurry to snag yours! Restaurant deals like this are a great way to stretch your "eating out" budget or have an inexpensive night out! Save Coin: $10 for $20 to Spend at Moe's Southwest Grill! I LOVE today's Save Coin deal! 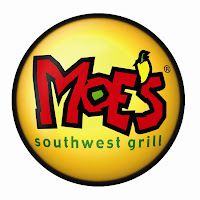 Get $20 to spend at Moe's Southwest Grill for only $10! My family loves eating at Moe's for it's fresh food and quality ingredients. Not to mention, free chips and salsa, kid friendly options and a great student special (for my husband)! Purchase the voucher today (while supplies last only!) and use it anytime through 1/27/12. Plus, get a gift card for the remaining balance if you don't spend all $20 in one visit! Food Club Salad Dressing, 16 oz Western, Ranch, Lite Ranch or Italian FREE with $30 purchase and Cash Wise in store coupon! Jack's Original Pizzas, 18.3 oz $2.22 each when you buy 4 with Cash Wise in store coupon! 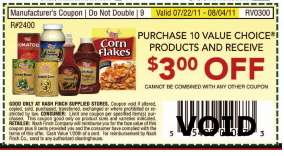 Wow, don't pass over the awesome $3/10 Value Choice items coupon in the weekly ad this week! It doesn't expire til 8/4, so pick up a few extra ads to find yourself lots of bargains til then! 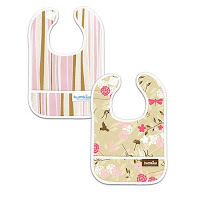 I've posted match-up ideas throughout this week's deals list, but there are surely other inexpensive Value Choice items to get a great deal on with this coupon. Leave a comment to let us know what you found for free or cheap! Plus, for more deal ideas, head over to Little House Living where Merissa has put together several deal scenarios! Look for just a SmartSource and a Red Plum insert this weekend in your Sunday Star Tribune. Be sure to check your paper for coupons before you buy it, just in case! New Printables: Kraft, Nivea, Skippy and More! If you see others advertised on the shelves or receive a printout at the register for any other current or upcoming Catalina offers, please comment or email me at fmcheapskate at gmail.com. Thanks! 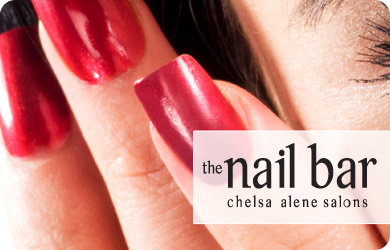 The Nail Bar: $30 for an Express Mani Pedi! Today's Save Coin deal is a great deal! Get an Express Manicure and Pedicure at the Nail Bar for $30! The voucher is valid at the The Nail Bar (a Chelsea Alene salon) only on appointments, Monday-Thursday and doesn't include a gratuity. If you're looking for both a manicure and a pedicure, this is a great deal! Head to Save Coin for all the details! Saveology: $10 Subway Gift Card for $6.50! If you're a new customer at Saveology, get a $10 Subway Gift Card for $6.50 today only! These can be used at any Subway and will certainly sell out fast! Limit 1 per household. Reminder Coupon Swap Saturday 7/23! Just a reminder of our upcoming Get Together + Coupon Swap this Saturday 7/23 at the West Acres Mall Food Court. We'll meet from 10-Noon! Everyone is welcome whether you want to swap coupons, ask questions or get to know other couponers in the area! If you're looking for a specific coupon, leave your request on the Coupon Trades Page, and hopefully you can connect with someone to help you out! See you Saturday! 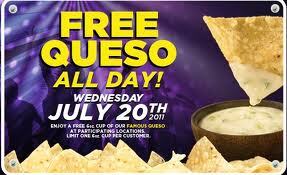 Wednesday: FREE Queso at Moe's Southwest Grill! Head out to Moe's Southwest Grill in Fargo on Wednesday for a FREE 6 oz Queso during Moe's FREE Queso Day! No coupon necessary, deal is valid all day long 7/20! Limit 1 queso per person. The $1/2 Bic Stationery Items coupon has reset, so hurry to print 2 more while they last! Remember, pens are only $0.50 at Target this week, making them FREE with this coupon! Looks like this is gone already! Cass Clay Creamery Ice Cream Social Tonight at Lindenwood! Head out to Lindenwood Park in Fargo tonight, where Cass Clay Creamery is hosting an Ice Cream Social from 5-8 PM tonight! There will be free ice cream to help you beat the heat! Look for the full page of SunMart and Our Family coupons inside the ad this week - they don't expire til 7/30! You might grab an extra ad or two when you go out this week in case we come across any great ideals in the next few weeks! Plus, buy 2 and get a FREE Our Family Whipped Topping Tub with a store sale! Final price: as low as $3.40 for 2 lbs Strawberries and a Whipped Cream tub! Great item to donate even if you won't use it yourself! Final price: $0.34 each twin pack! Plus, look for peelies on some boxes for $1 off ground beef when you buy 2 Skillet Helpers! Final price: as low as $0.40! Plus, buy 20 and get a $2 Catalina coupon to use on your next order! Like buying an 8 oz chunk or bag for $1.25! Since 2 regular rolls equal a double roll, this would be like buying a 12 double roll pack for about $3! 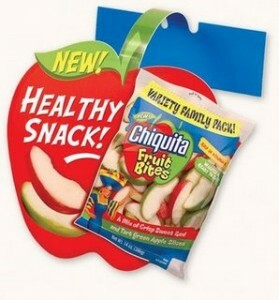 Final price: as low as $0.50 after coupons! Reader Lori emailed this in after seeing a tag on the shelf, but I haven't found any other details on it. 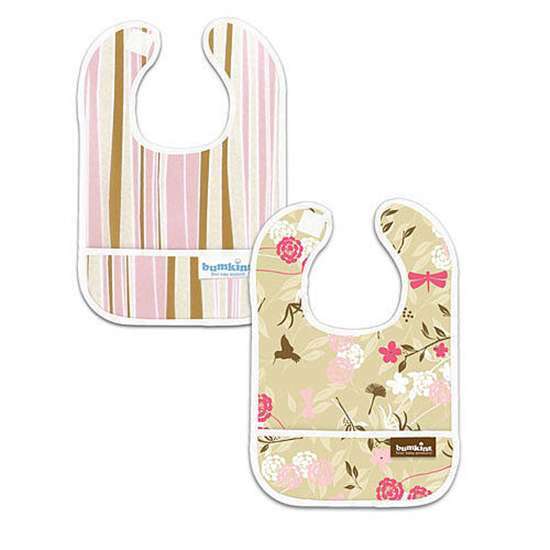 It might include more Gerber products, and be sure to check the shelf for an end date before buying! FREE Sample: Huggies Snug & Dry Diapers! Head over to Target's Sample Spot to request a FREE Sample of Huggies Snug & Dry Diapers! Choose from size 3, 4 or 5. Plus, $0.25 for each pound of cherries sold benefits Cherries for Charity! Carlita Refried Beans, 16 oz $0.68! Final price: $1 for all, only $0.25 each! Wild Harvest Organic Milk, 64 oz $3! A great price for organic milk, especially since the regular price of this brand recently went up to $4/half gallon! Plus, use the $1 off Nesquick Syrup when you buy 1 Edy's Ice Cream coupon from the 6/5 RP insert to get Nesquick Strawberry, 22 for only $0.68 after the coupon! Angel Soft, 12 Double Rolls $3.98!